Vornamen + Wunschfiguren für die Herzanhänger (von links nach rechts)? Auswahltabellen sind bei den Produktfotos zu finden!! 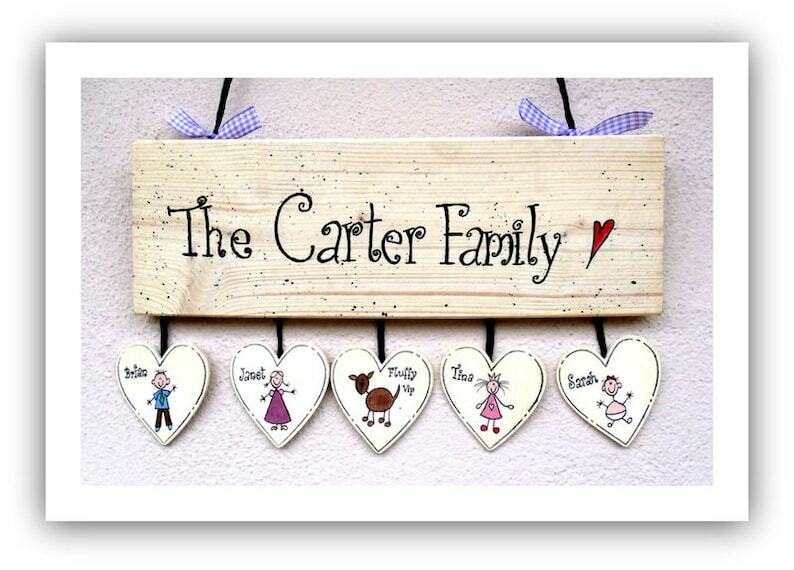 Door sign Wood personalized, Name sign, Family sign, wooden sign, Front Door sign, door sign for front door/front Door, Wooden Door sign, family door sign, door Sign family hand painted/labeled. With longer names we allow ourselves to adjust the whole accordingly. Up to 6 hearts can be placed next to each other at maximum. Corresponding selection tables can be found in the product photos! The arrangement of the hearts takes place according to the organ pipe principle. Father, mother, children according to age, Hundi/Katzi according to wish and status.